Avjobs provides a step-by-step process with proven results. 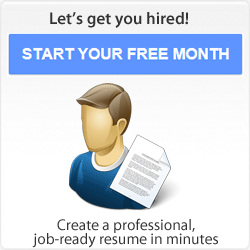 We even have an Automated Job Search Assistant to keep you on track through out the process. 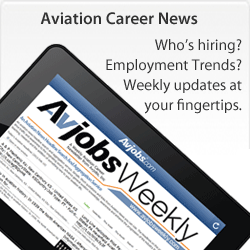 Avjobs helps aviation applicants land jobs faster! Use the Avjobs applicant system and follow these steps for the quickest results. The job search process begins with an identification of your values, interests, skills, accomplishments, experience, and goals. How can you seek a position if you don't know what you want from a job and what you have to offer prospective employers? Self-assessment, can be a tough and time-consuming process without the proper tools. Research and Explore Aviation Industry Career Options. 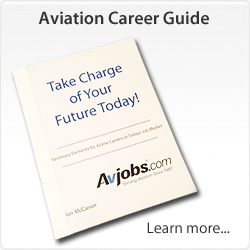 Avjobs provides overviews for many career types in the Aviation, Airline, Airport and Aerospace industries. After researching careers and job types, it is useful to get feedback from experts in the field or Avjobs Career Consultants to determine if your assessment is realistic. In today's competitive aviation job market, a well-written resume is the single most important factor in getting your foot in the door and on your way to landing the perfect position. 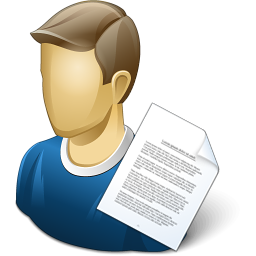 The Avjobs Resume Buildeer and Publisher automatically creates your aviation specific resume and gives you the tools to mail, print, email and fax your resume, quickly and easily, all in one convenient location. Locate and schedule interviews for challenging and professional positions. By applying to many different companies and/or for many different positions you increase your opportunity for employment immensely. 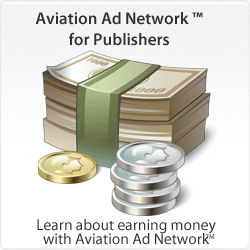 If you're having trouble finding jobs, try our job search to find aviation jobs in your area and around the world. See aviation jobs on a map and pinpoint potential employers in your area or across the country. Good research on aviation employers will not only give you the competitive edge, but also help you decide which employers you want to reach and which strategies you use to contact them. For help with locating aviation employers in your area, or around the world, sign into the Avjobs Applicant System and use the Aviation Directory. Sometimes you may have not been the applicant they would choose first, but your ambition and the determination of a follow up telephone call, thank you note, or even a surprise visit could make them see you in a whole new light! Professionalism - an email address such as psmith89038@yahoo.com or flygirl@aol.com, or mrawesome@hotmail.com, etc., can appear unprofessional, disposable and possibly untrustworthy to your potential employer. It is also very difficult for your recruiter and hiring manager to remember. And... Sorry but, willfly4beer@xyz.com at the top of your resume is just not going to make the professional impression employers are looking for! Stay on Course with these Resources, explore the matches between your identified skills, interests and values with the demands of aviation career fields and organizations. If during your job search you find that you lose your motivation after a while, you will definitely benefit from the Avjobs Job Search Assistant. The Automated Job Search Assistant guides you through your job search process and keeps you on the right track. The "Job Search Assistant" will let you know when to perform the necessary steps to increase your chances of getting hired. Knowing your salary needs can help you to focus your job-hunt and to get a fulfilling job that pays you enough to live comfortably. Understanding the difference between your needs and your wants will allow you to negotiate a better salary and a better job.